From everything I've heard construction will begin in First Quarter, 2007. It will be the tallest building in New Orleans at 67 storeys. I've heard height ranges from 720 feet all the way up to over 850 feet. We'll find out the facts in a couple of months. They have added a needle, which will likely have the height somewhere around 800 feet. I love it... Man, I remember being home for vacation the week before Katrina hit when Trump & Nagin made the anoouncement about this thing. I'm so glad it's still on. Incidentally, does anyone know the height of One Shell Square by comparison? One shell Square is 51 stories. I don't know the height in feet however. Incidentally, does anyone know the height of One Shell Square by comparison? Don't know the height, but Shell Sqaure is 51 stories. I think The-Building-Formerly-Known-As-Place-St.Charles is 52. I can't do that, Dave. That's a good looking building. Is it just me, or does that building kind of look like a can of air freshener? 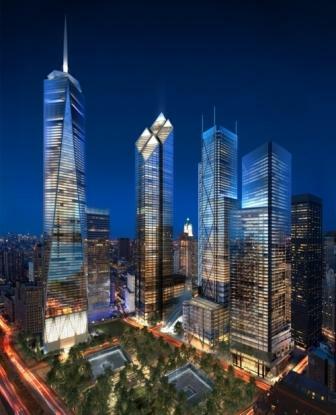 Wow, that looks cool, a lot better then design for what they are replaing the WTC with. Are you kidding. The new NEW YORK buildings are going to be absolutely beautiful. The "Memorial tower" definitely goes against most architectural convention, but I like it. ...Geez- How many buildings are they replacing the WTC with? 85?? I think it is four Saint El Lay. One memorial building and 3 additional buildings. And Donald Trump and all of his investors in this building just closed the deal and construction is about to start.. CONGRATS TO TRUMP AND ANYONE FROM NEW ORLEANS For getting this thing done, this will certainly be a catapult to a brand spankin new City that will grow into one of the most Elite Envyous Cities of the Gulf South taking that title from Houston sooner or later.